First opened in 1936 as Baginton Aerodrome, Coventry Airport has been used for general aviation, flight training, and commercial freight and passenger flights, as well as being a World War II fighter airfield. In 1994-5, it became a focus for animal rights campaigners who protested at the export of live animals from the airport as freight. In 1982, Pope John Paul II celebrated Mass with a crowd of around 350,000 on his only UK visit. From 2004 to 2008, Thomsonfly operated scheduled jet passenger flights from temporary hub facilities at Coventry. A controversial plan to build permanent passenger terminal facilities was rejected by the High Court in 2007. Following financial problems, the airport was briefly closed in 2009, before re-opening as a commercial airport in 2010. In 1933 Coventry City Council decided to develop a civil airport on land that it owned to the south-east of the city in Baginton. Coventry Airport was opened in 1936. Armstrong Whitworth, a aircraft manufacturer based nearby at Whitley Aerodrome, built an aircraft factory on the airport site soon afterwards. During World War II the airport was utilised as a fighter station, RAF Baginton, by the Royal Air Force. It was damaged in the 1940 Coventry Blitz bombing raid by the Luftwaffe. After the war the airport was returned to civil use as a passenger and freight terminal. In the 1950s Jersey Airlines operated de Havilland Heron and Douglas DC-3 aircraft on services to the Channel Islands. In the 1960s British United Airways flew DC-3s, Aviation Traders Carvairs (which also carried passengers' cars) and Handley Page Dart Heralds to the Channel Islands. During the 1980s West Midlands based travel agents Hards Travel started using the Airport with its Vickers Viscount and Dart Herald aircraft for holidays to Spain, Italy and Austria, flying to Beauvais in France and Ostend Airport, operating under the Janus Airways banner. The holiday brands used were Summer-Plan, and HTS Holidays. In the late 1980s, Coventry City Council sold the airport lease to Air Atlantique. Pope John Paul II visited the airport on 30 May 1982 as part of his six-day visit to Britain. He arrived in a gold and blue British Caledonian helicopter, and just after 10.00 a.m. he set off in a popemobile from the helipad to visit a crowd of about 350,000 people. He celebrated Mass and administered the sacrament of confirmation, and there was a carnival when he had lunch. He left in the helicopter at about 3.15 p.m.
From 5 November 1994 to 4 May 1995 live veal calves were exported from Coventry Airport to Amsterdam for distribution across Europe, and the locality became a focus for animal rights demonstrators. On 21 December 1994 Air Algérie Flight 702P, a Boeing 737, used for exporting calves crashed in Willenhall Wood, Willenhall, Coventry near to houses, on approach to the airport in bad weather, and all five people on board were killed. The aircraft was owned by Air Algerie and on lease to Phoenix Aviation. On 1 February 1995, Jill Phipps, an animal rights activist aged 31 years, was crushed to death under the wheels of a lorry carrying live veal calves into Coventry Airport. In February 2004 the airport lease was sold to TUI AG, which started scheduled international flights from a temporary passenger terminal building in March 2004 under the brand Thomsonfly using two Boeing 737s. The operation drew vociferous opposition from environmental campaigners, some local residents and Warwick District Council, but was supported by Coventry City Council. Warwick District Council unsuccessfully sought an injunction to stop flights, claiming that the temporary facilities were built without planning permission. Flights expanded through the following years, while the airport sought planning permission for a permanent passenger terminal and facilities. Thomsonfly expanded operations with more European flights and up to six aircraft based at the airport, while WizzAir also began regular flights to Poland. After planning permission for a permanent passenger terminal was initially denied by Warwick District Council in 2004, two public inquiries took place, followed by an unsuccessful appeal by the airport owners to the UK government planning inspectorate, and finally to the High Court in 2008. The planning battle affected the confidence of flight operators. On 1 September 2008, Wizz Air confirmed it would not continue its seasonal service from Coventry to Gdańsk and Katowice. On 15 October 2008, Thomsonfly confirmed that it would cease operations at Coventry Airport, citing its increased focus on charter services after its merger with First Choice Airways. Scheduled passenger flights from Coventry ended on 9 November 2008. The airport continued with cargo operations, and was a base for executive jet services, general aviation and flight training, and the Warwickshire and Northamptonshire Air Ambulance. In May 2009, Coventry Airport was put up for sale. The owners outsourced security, and also air traffic control to Marshall Aerospace. On 1 December 2009, it was reported that a petition was made by HM Revenue & Customs in the High Court to wind up the company, to the concern of local businesses. A hearing was due to take place at London’s Royal Courts of Justice on Wednesday, 9 December 2009. On 8 December 2009, the CAA closed the airport with immediate effect, issuing a Notice to Airmen announcing the withdrawing of its operating licence. All commercial flying and flight training was suspended, although the Warwickshire & Northamptonshire Air Ambulance continued to use the airport as a base. The airport re-opened as an unlicensed airfield the following week, without air traffic control, to private traffic. A Swiss firm announced its interest in acquiring the airport in early 2010, but did not conclude a bid. Sir Peter Rigby's Patriot Aviation group took over ownership of Coventry Airport on 28 April, and it was fully re-opened in summer 2010. As of June 2010, Air Traffic Control services at Coventry have been provided by SERCO. As part of Pope Benedict XVI's planned visit to Britain in September 2010 it was announced that the centrepiece of the visit, the Beatification of Cardinal John Henry Newman, would take place on 19 September at the airport, following the success of the 1982 visit of Pope John Paul II. However, it was subsequently announced in June 2010 that the preferred venue had changed to the smaller Cofton Park, in Birmingham. Hong Kong's TVB filmed flight training scenes for its series Triumph in the Skies II at the airport using facilities and aircraft owned by Aeros Flight Training. On 15 April 1969, Douglas DC-3D N4296 of Aviation Enterprises was destroyed by fire at Baginton Airport. On 21 December 1994 an Air Algerie Boeing 737 aircraft crashed in Willenhall Wood on approach to Coventry. Five crew were killed. On 17 August 2008, five people were killed when two light aircraft collided on their final approach into Coventry Airport. The aircraft involved were a Cessna 402C and a Rand KR-2. The Air Accident Investigation Board's report of crash concluded that: The two aircraft collided because their respective pilots either did not see the other aircraft, or did not see it in time to take effective avoiding action. In 2012, an inquest jury criticised poor monitoring and communication by staff at Coventry Airport. The jury also said the tower controller at the airport provided the Cessna 402 with "inaccurate information" about the other aircraft. ↑ "Civil Aviation Authority Aerodrome Ordinary Licences" (PDF). Retrieved 14 June 2011. ↑ "Baginton (Coventry) airport History-page 2". ↑ Douglas, Alton (February 1991). Coventry: A Century of News. Coventry Evening Telegraph. pp. 114–115. ISBN 0-902464-36-1. 1 2 "Aeroplane crash dead remembered". BBC. 21 December 2004. Retrieved 2008-08-18. ↑ "Live exports that sparked protests". BBC. 8 March 2006. Retrieved 2007-03-13. ↑ "Fight or flight at Coventry Airport". Coventry Telegraph. 7 April 2004. Retrieved 8 December 2009. ↑ "Council drops airport court case". BBC. 2004-06-18. Retrieved 2 January 2010. ↑ "Coventry Airport expansion appeal is rejected". Coventry Telegraph. 7 October 2008. Retrieved 8 December 2009. ↑ "Passenger flights end at Coventry". BBC News Online. 9 November 2008. Retrieved 8 December 2009. ↑ "Latest news". Coventry Airport. Retrieved 2009-12-08. ↑ "Coventry Airport For Sale". Retrieved 2009-05-11. ↑ "Airport facing wind-up petition". BBC News Online. BBC. 1 December 2009. Retrieved 8 December 2009. ↑ "Coventry Airport: Solution must be found, say business leaders". Coventry Telegraph. Retrieved 8 December 2009. ↑ "Coventry Airport closed by owners". BBC News Online. BBC. 8 December 2009. Retrieved 8 December 2009. ↑ "Coventry Airport To Close Immediately". Sky News. Retrieved 8 December 2009. ↑ "Coventry Airport closed". Retrieved 14 June 2011. ↑ Woodman, Peter (8 December 2009). "Coventry Airport shuts down". The Independent. London. Press Association. Retrieved 13 January 2010. ↑ Switzerland Firm ADP Pulls Out of Coventry Airport Deal. BBC News Online. Retrieved 16 February 2010. ↑ "Firm in talks on takeover of Coventry Airport". BBC News Online. BBC. 2010-02-16. Retrieved 2010-03-01. ↑ "Firm completes Coventry Airport takeover". BBC News Online. BBC. 2010-04-28. Retrieved 2010-04-28. ↑ "Coventry Airport gears up for business". 2010-06-15. ↑ Walker, Tim (15 December 2009). "Pope Benedict will be sent to Coventry for climax of his visit". London: The Daily Telegraph. Retrieved 21 December 2009. ↑ "Mass to be held at Coventry Airport by Pope Benedict". BBC News Online. BBC. 19 March 2010. Retrieved 25 March 2010. ↑ "Pope's Coventry visit moved to Birmingham". BBC News. 24 June 2010. Retrieved 24 June 2010. ↑ "N4296 Accident Description". Aviation Safety Network. Retrieved 9 February 2011. 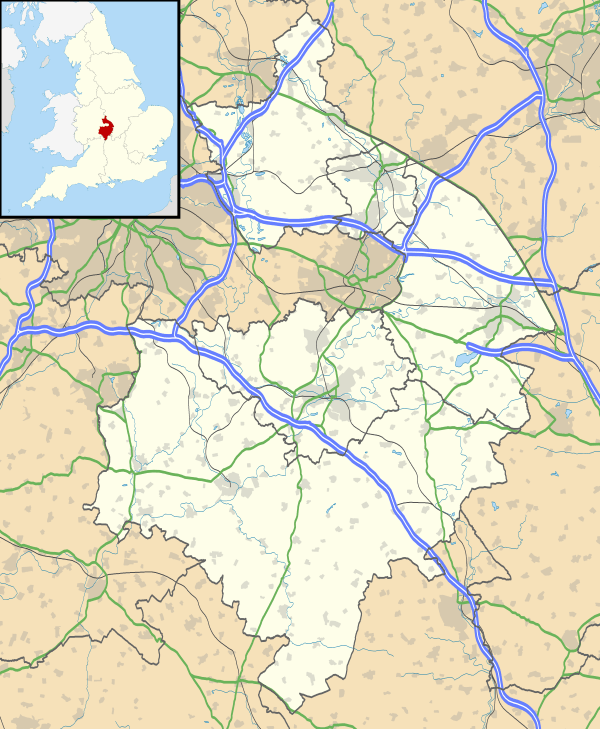 ↑ "Phoenix plane crashes near houses in Coventry". Jill Phipps. Retrieved 2008-08-18. ↑ "Five killed as two planes collide". BBC. 17 August 2008. Retrieved 2008-08-17. ↑ "PRESS STATEMENT" (pdf). Air Accidents Investigation Branch. Retrieved 2008-08-19. "A Visitor's Guide to the Midland Air Museum". Midland Air Museum. 1983. Wikimedia Commons has media related to Coventry Airport.